"Peace on Halo!" is a flying camera tour through several Halo Full multiplayer maps. The video is made to comment upon the violence of the game and shows each level without any weapons or players in response to the fall of the game's multiplayer popularity since the Universal Binary release for Intel-based Macs. 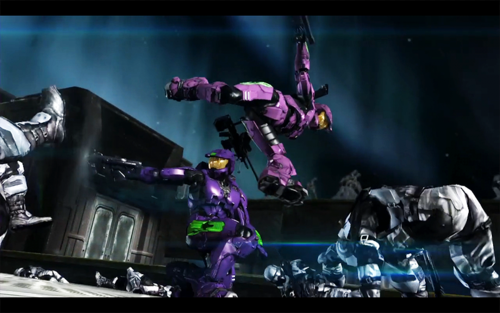 This is my very last machinima for the Halo series, I've decided to call it quits and move on. Re: [Machinima] Peace on Halo!